Vermillion Snapper season re-opened April 1st and when the conditions are just right many anglers who are fishing on the bottom can catch their limit of these tasty fish in no time. The bag limit for Vermillion (also known as Red-eyes) is 5 fish per person per day and a size limit of 12 inches total length. 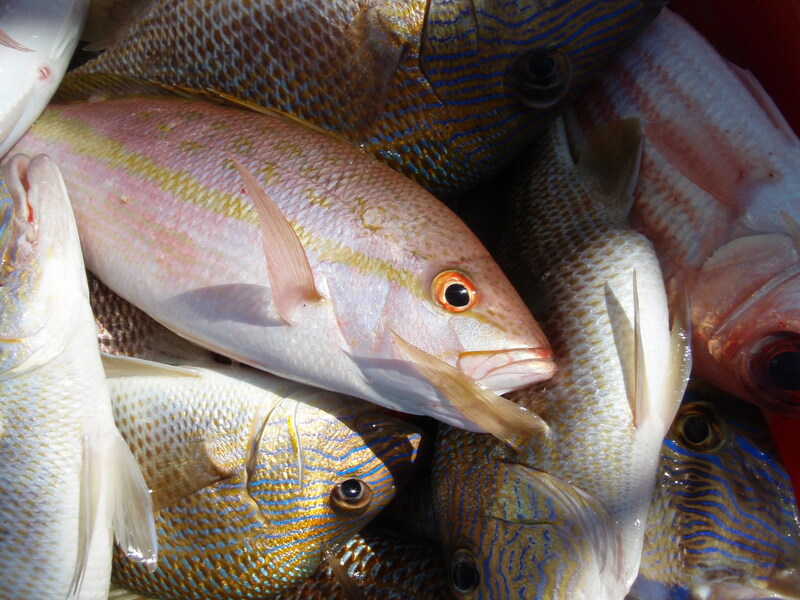 Bottom fishing is still producing good numbers of Porgies, Grunts and Snapper such as the Yellow-tail Snapper shown above (center) in a heavily mixed basket. Night fishing has been producing Lane and Mangrove Snapper for many anglers wishing to beat the heat of the day-time trips. 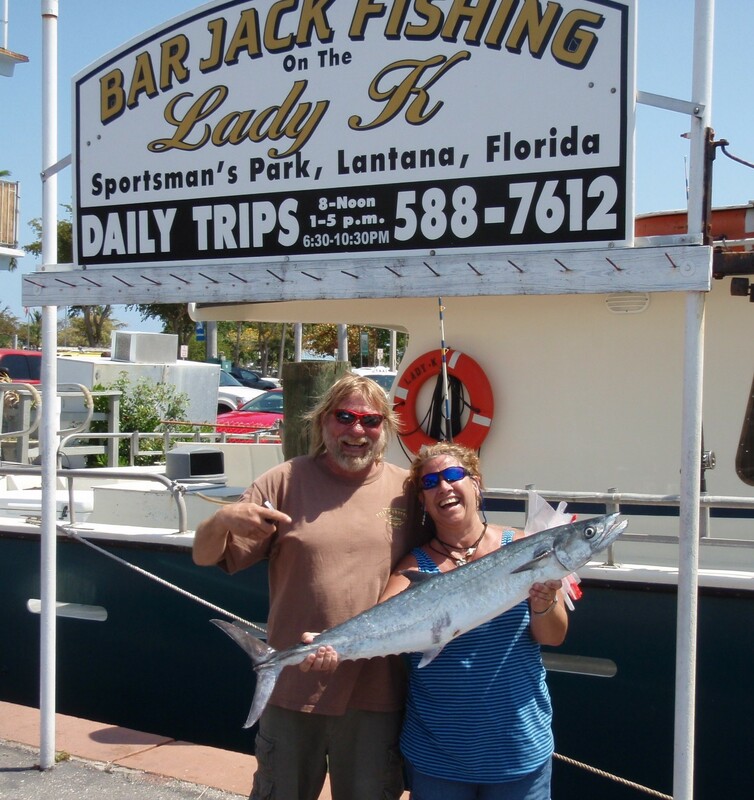 On their way to fishing many of Florida’s great fishing destinations, this couple fished aboard the Lady K during a recent morning trip and brought back a nice King Mackerel. One of the highlights of their trip was the 12 foot Hammerhead Shark that swam by the boat along with many sea turtle sightings. 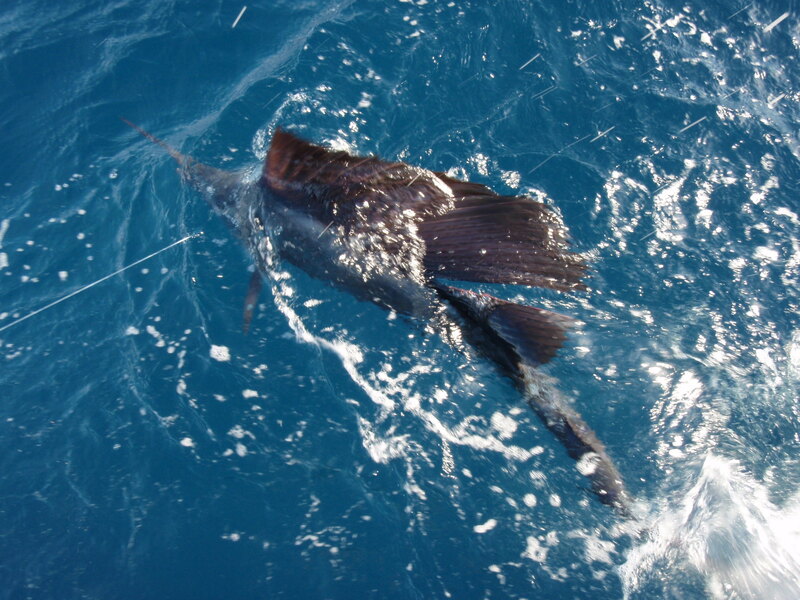 Sunday brought a sailfish release on the morning trip and three more hook-ups during the afternoon trip this past weekend giving everyone onboard a fantastic show of tail-walks, back-flips and greyhounding runs. Come on out to enjoy a short four-hour offshore excursion fishing under the Florida sun aboard the Lady K. Drop ’em down and catch ’em up.